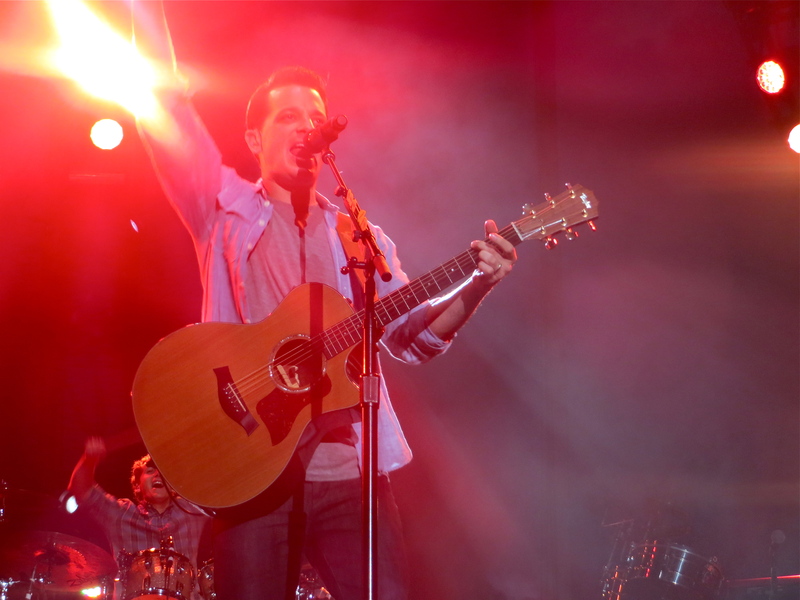 Braving heavy rain and threatening thunderstorms, loyal fans ventured to Charter One Pavilion June 28 to kick off the Midwest leg of O.A.R.’s Sounds of Summer Tour. The ska-turned-pop-rock group is renowned for their explosive live shows and extensive summer touring, with their Friday night performance proving to be no exception. 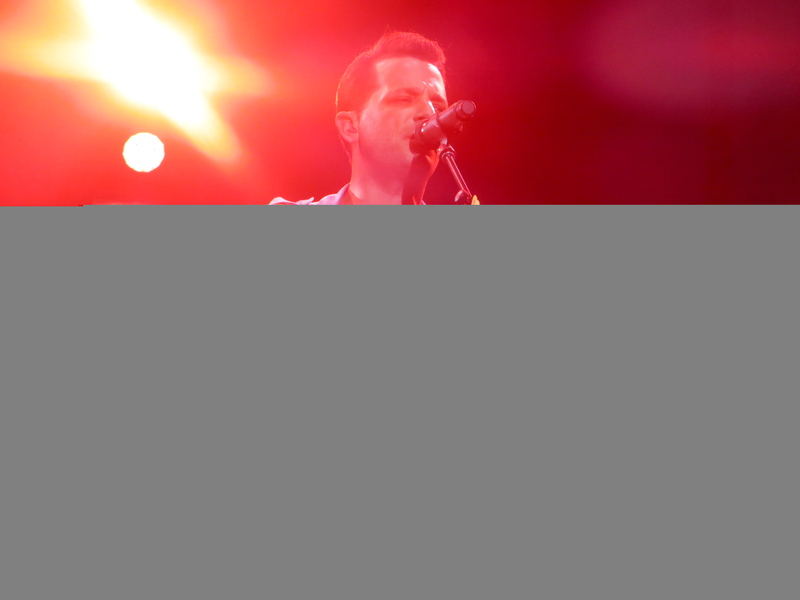 Brimming with reggae tinged vocals, melodious rock anthems and high-energy power solos, the show ranged from O.A.R.’s jam-heavy college classics to their radio-ready pop rock ballads. 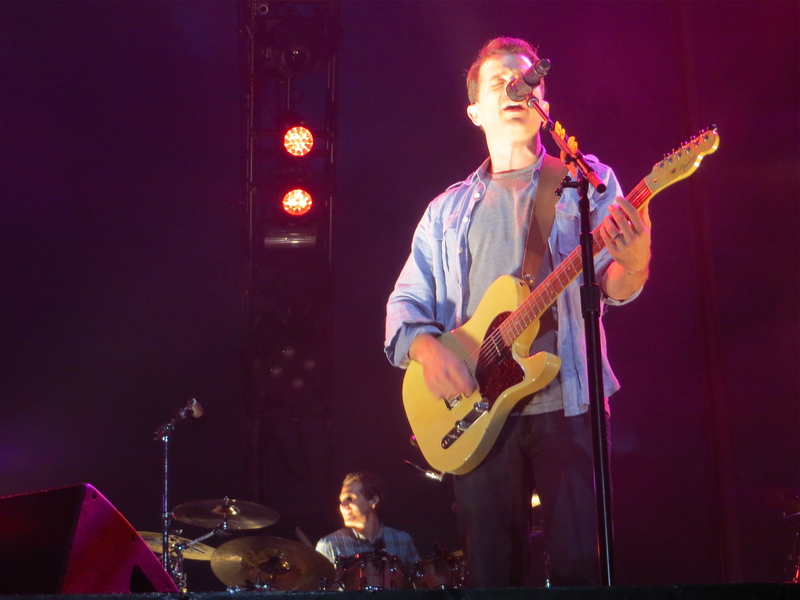 Following a brief rain delay, the band made its long-awaited appearance, immediately launching into rastafied single “About Mr. Brown” from their 1997 debut album The Wanderer. Backed only by simplistic colorful lights, the five-member group opted for sound over showmanship, pausing their near two-hour set only briefly to chat with the audience. Singer Marc Roberge didn’t come up for air until around the sixth song—a feat for anyone who knows how lengthy O.A.R.’s live renditions can run. “Once again rain has found us in Chicago,” he said, but quickly dismissed it as “just another twist in the road” of rock ‘n’ roll.” The band then transitioned into “One Shot,” a soulful staccato number from their fifth studio album Stories of a Stranger. Shortening the gap between audience interactions the second time around, Roberge breaked for a sentimental moment only two songs later. “We could stay up all night with each other and do nothing at all, and when we went home our hearts hurt because we weren’t with our friends anymore,” Roberge said during his introduction to Black Rock, a song named for the city of Rockville, MA, where four of the band’s members grew up together. 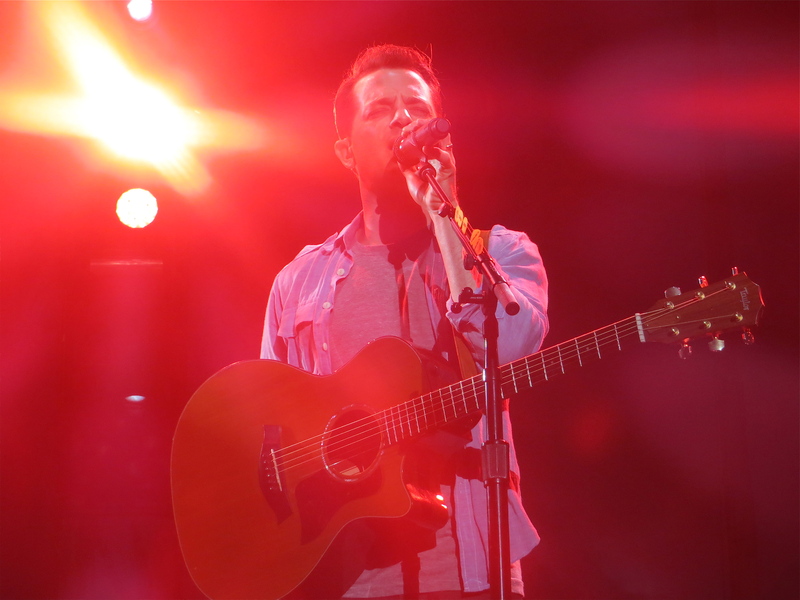 The moment was particularly revealing as Roberge closed his eyes and gripped his heart, seemingly transported to a place far from Chicago as he sang. Such emotional telltales emerged recurrently throughout the performance, allowing fans a more personal connection with the singer. The second half of the show consisted of a much more rock-heavy vibe, littering hits like “Shattered (Turn the Car Around)” and “This Town” with intricate instrumental solos that highlighted almost every member of the band. The crowd exploded during concert staple “That Was a Crazy Game of Poker,” throwing playing cards high into the summer air and wildly waving leftover memorabilia from the earlier Blackhawks’ Victory Parade. Roberge even stopped to take a picture of the impassioned audience, later commemorating the moment on twitter. Roberge wound down his overzealous fans with a “song that kinda started the whole thing for [him]”: a new, stripped-down acoustic single entitled “Peace.” For the finale, he called openers Allen Stone and Andrew McMahon back to the stage for a lively rendition of Wings’ “Live and Let Die.” The crowd of keyboardists, guitarists, drummers and bassists that emerged to conclude such an exhilarating night of music was undoubtedly a capstone moment. 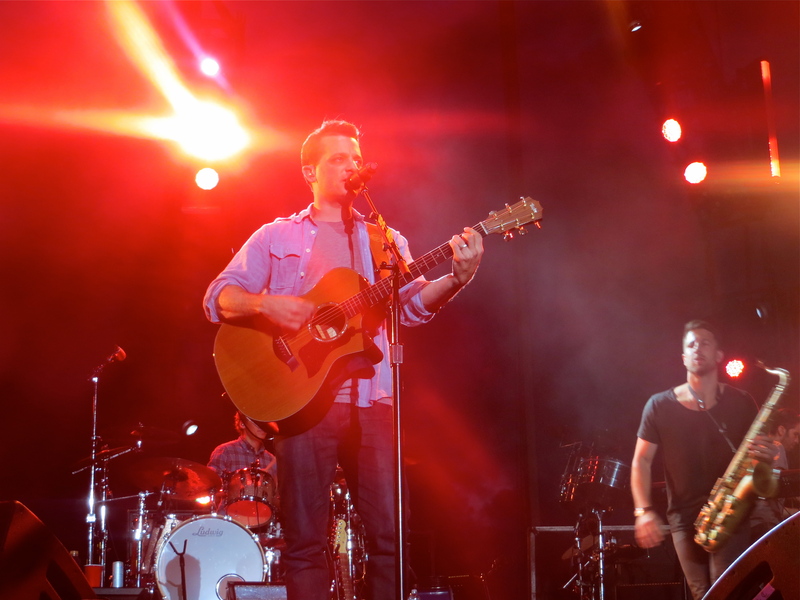 Despite unrelenting pleas from the audience, there seemed to be one very obvious reason O.A.R. didn’t return to the stage for their usual encore: there was nothing that could top it.